I love tea, I really do, but sometimes I just don't think to drink it because I'm also a coffee gal. Lately I've really been making an effort to swap at least one cup of coffee for a mug of the good stuff every day. Though I'm certain I won't be giving up on coffee completely any time soon, I'm trying to make some better choices and the added benefit is the avoidance of the caffeine shakes that I used to get all too often from too many cups of Joe. Besides being tasty and the variety of tempting flavours available, there are so many benefits to drinking tea. These are just a few of my favourite benefits... 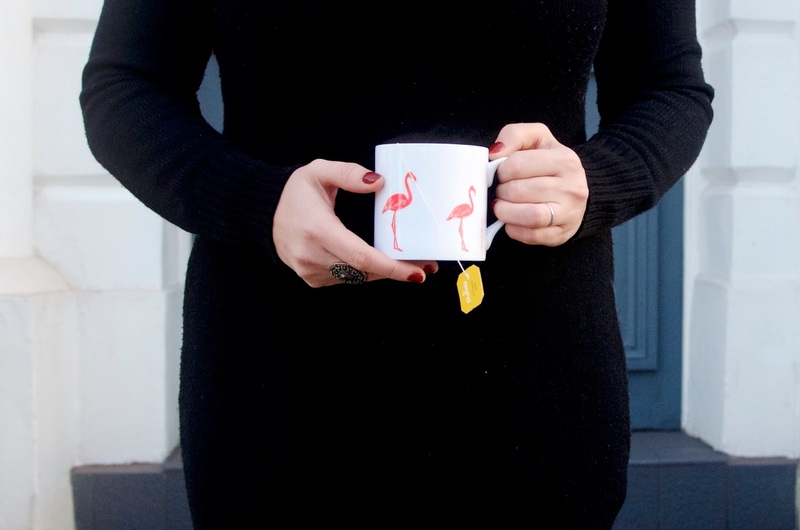 So, put the kettle on, grab your favourite mug (this flamingo beauty from So Just Shop is mine), put your feet up and join me, won't you? Tea has less caffeine than coffee and depending on the variety of tea you choose, it may be naturally caffeine-free, so you can limit how much you have or even drink some teas before bed without worrying about losing any sleep. Variety is the spice of life, or so they say and there's a bounty of different teas available on the market. 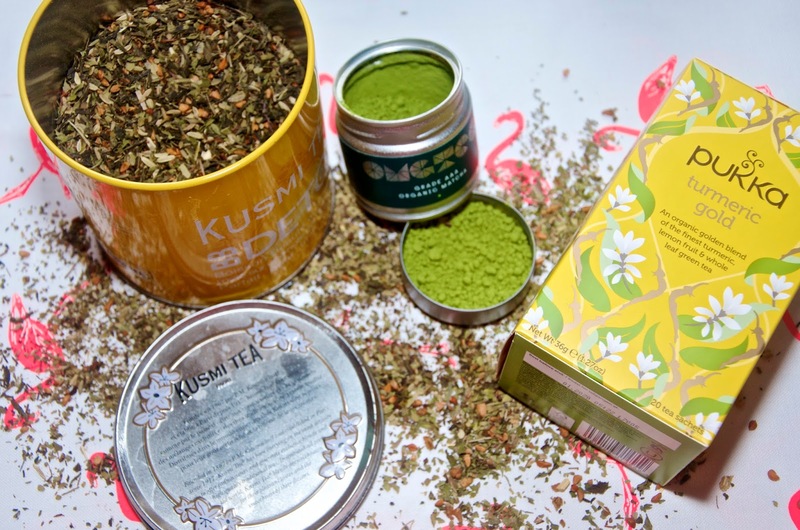 From loose leaf to bag versions, the plethora of green tea varieties and even the numerous choices of fancy flower teas, you'll never run out of new things to try if you start making this hot beverage a part of your daily routine. There is a tea for everything! Can't sleep? There's a tea for that... Trying to detox? There's a tea for that too. Digestion giving you troubles? Guess what... There's even a tea for that. 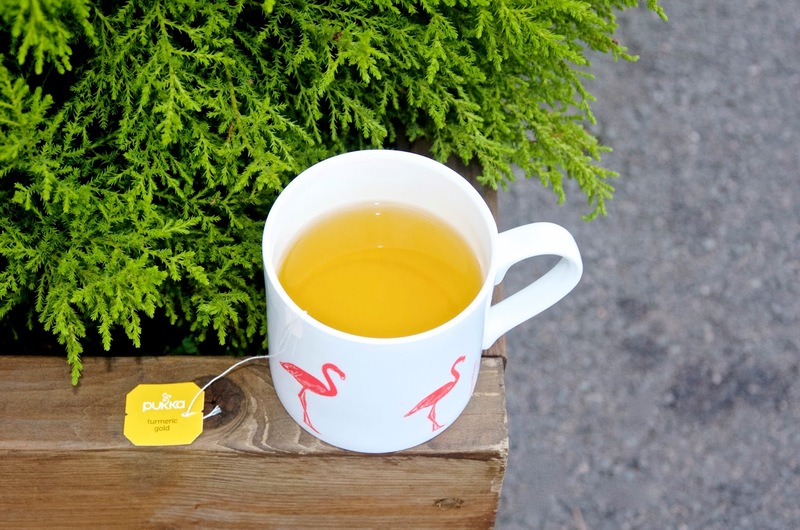 Beauty teas, appetite suppression teas, teas for bloating, teas for nausea... Maybe it will work - maybe it won't, but it certainly won't hurt as long as it's natural and there's literally an herbal tea for whatever ails you, so drink up! There is a tea that will work with and may also help with almost any dietary choices you're currently making. Giving up dairy? Try a fruity tea or an herbal variety you don't mind drinking without milk, such as Peppermint Tea. Trying to lose weight? New studies have equated an increase in fat burn with matcha in people who are active. 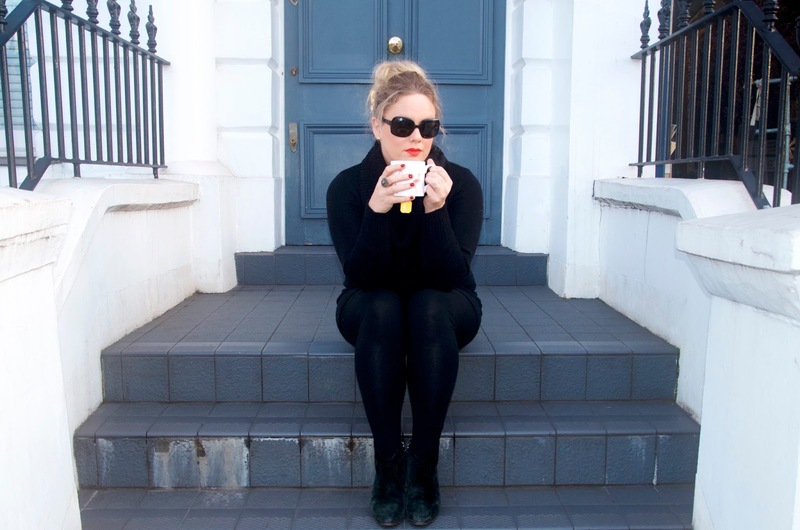 For me personally, I'm choosing tea more often when I go to coffee shops because I don't want all the milk that comes in my favourite latte, so I swap my usual caffeine hit for a cup of green tea or peppermint tea with no milk and enjoy the antioxidants as an added bonus. So what's the big deal about Matcha? If you're on Instagram, living in a major city, reading magazines, perusing healthy food cookbooks or looking at social media at all, you've probably noticed the major increase in matcha tea and the ever-growing number of photos of matcha lattes or brilliant green sweet treats shared by influencers from around the world on Instagram. Matcha is a form of green tea, but instead of infusing water with leaves and discarding them, it comes in a stone ground powder form, so it's a bit more powerful. Matcha green tea contains a high conentration of polyphenols and antioxidants called catechins. These are beneficial not only to your health, but also to weight loss and energy, so it's no surprise that all the beautiful people are flocking to this vibrant, green magic tea. 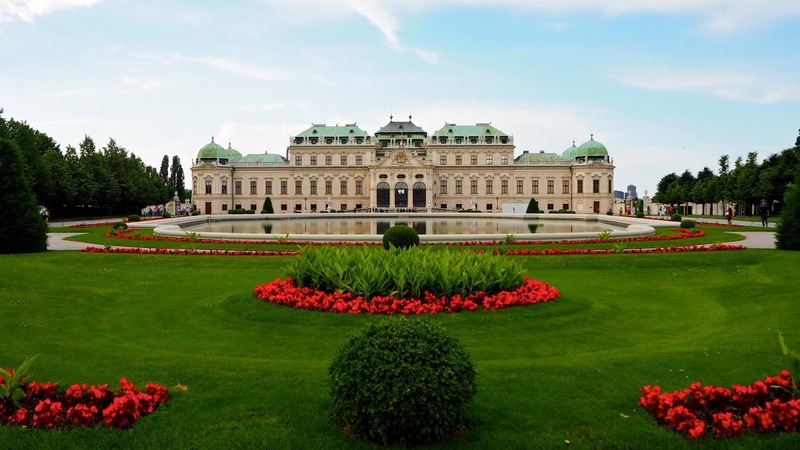 Studies show that combination of active ingredients EGCg, L-Theanine and natural caffeine result in the possibility of increased energy, higher performance in sports and other active pursuits as well as the possible increase in fat burning during workouts. Furthermore, matcha supports the immune system, boosts the metabolism, helps to regulate cholesterol and blood sugar levels, assists in calorie burn and helps to relax the mind. In short, matcha is a miracle powder and while you may find that it's very expensive, it seems to me that it's worth every penny. Traditionally, matcha is whisked with hot, but not boiling water until it's slightly frothy, producing a smooth, hot drink, however you may have noticed it's become quite trendy in lattes, savoury recipes and sweet treats like cakes and tarts. I've even seen people put it into a smoothie, which I've done a time or two myself and it's a deliciously easy way to get a few more antioxidants into your diet. The thing to remember is that while you'll still get some good benefits from the matcha in a brownie, a brownie is still a brownie, so don't eat the whole tray in one sitting and expect to lose a ton of weight... It's also worth noting that the price is indicative of the quality and that if you're using matcha for cooking or baking, you can opt for the culinary grade powder because there's no need to use the top grade stuff in your recipes. I prefer my hot cuppa matcha with a splash of milk, but more often than not, I simply add it to my morning smoothie rather than drinking it by the cup. However you choose to incorporate matcha into your diet, there's no denying that it's a wonderfully healthy addition to your daily diet. This is all down to taste and preference. It is widely believed that loose leaf tea tastes better because tea bags are often filled with fannings and/or dust, basically the leftovers from tea production. When you get into leaf teas you then have the option of whole leaf or broken leaf, whole leaf being the highest quality. Personally, I find this is all a matter of opinion and I drink both, but if I'm opting for a bag tea, I do choose the highest quality available and I find it does make a difference. If I have time and I'm at home or in a tea shop, I love drinking loose leaf, but if I'm grabbing a cup on the go or in a rush, I certainly don't mind a tea bag because they're faster and easier. 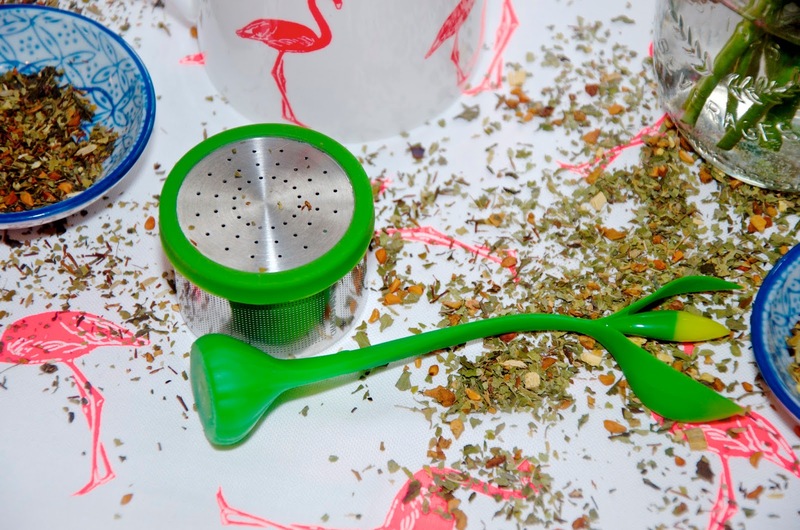 If you choose to drink leaf teas, you'll want to invest in a nice strainer or two and make sure you get one with a fine weave so there's little-to-no debris left in your cup when the tea is ready to drink. I have a pretty large collection of tea in my kitchen because I'm fickle and my preference changes like the weather. I'm a big fan of Pukka Tea if I'm reaching for a tea bag. The Turmeric Gold is my favourite and at night if I need a little help getting to sleep, I love a cup of Night Time which contains Valerian, an herb that's often used to treat insomnia. Other teabags I love are by Tea Pigs, my favourite of which is the Green Tea With Mint. When it comes to loose leaf tea varieties, my absolute favourites are from Kusmi. I tend to favour the BB Detox, Detox and Be Cool, however if I'm honest, I've enjoyed every Kusmi Tea I've ever tried, so I'd feel fairly confident in saying that you can't really go wrong with your choice. 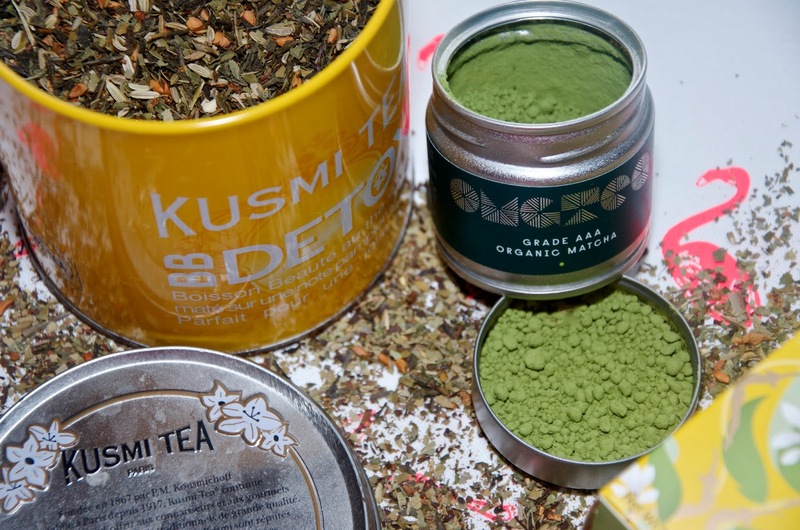 When it comes to matcha, I love OMGTEA Grade AAA Organic Matcha because of its high quality, but also because it comes in a great little tin that's easy to open, but also fairly easy to carry around if you fancy your matcha on-the-go. For more information on the matcha and its benefits or to stock up on OMGTEA visit omgteas.co.uk. 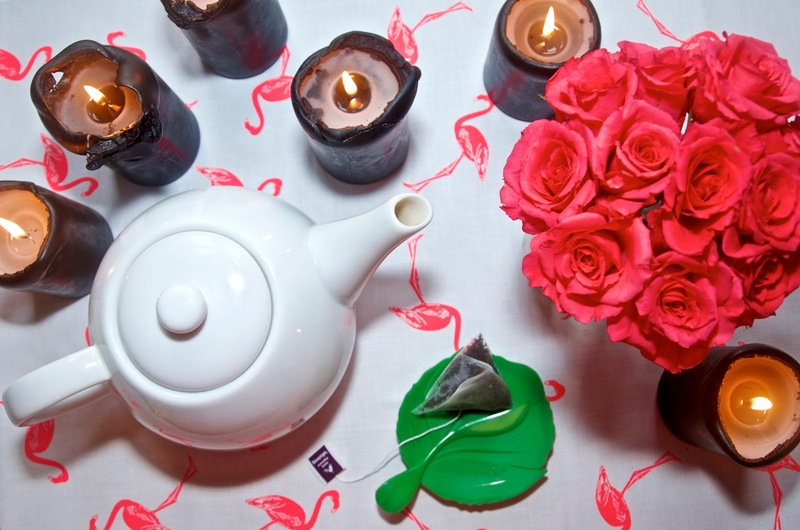 It's hard to find a reason not to drink more tea... Everywhere I look, it seems they've discovered a new health or even beauty benefit to drinking a hot cup of tea. Given the amazing flavours, the versatility of being able to drink it hot or cold and all the creative things you can do with tea from infused cocktails to baking, it's fairly easy to make a start at incorporating more into your daily diet. The hard part is deciding which tea to invest in first... Decisions, decisions! Click on any image below to get started with building your own tea collection!